Comiket 93 will be held from December 29th to 31st, 2017. The first day is dedicated for Touhou only. On November 2nd, circles had announced their stalls in the event, which is very early. 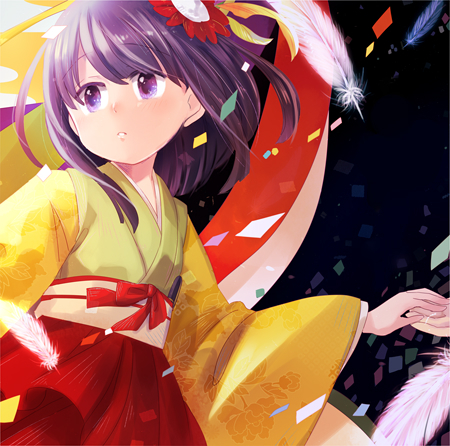 A Touhou event at the end of the year is always something. There are many surprising elements, let’s get that right. At first, we’ll see the quantities – the number of albums released. I think the quality is there too. It’s exciting, a different excitement from the Summer Comiket (I think it’s because it’s almost time for New Year and the festive season, lol). C92 is not big like this C93, as you can tell based on the number of CDs released this time. But, thanks to C92, I have shaped my music taste clearer gradually changed some. 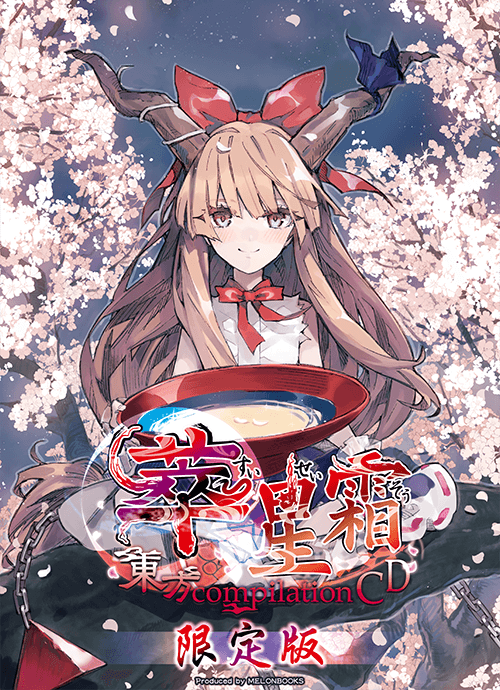 In this event, you can expect to have many arrangements from Touhou 16 ~ Hidden Stars in Four Seasons. I only played the demo once back then, so I don’t have any particular favorite themes. But over the process of writing this post, some of them have grown on me. This Roundup post features some albums I’d like to hear and discover so all comments here are my personal thoughts. Everybody has the right to have opinions, doesn’t it? Also, my English still needs refinements and I’ll try to improve. If you found any grammatical mistakes or some lines I haven’t deleted due to my lack of proofreading, please tell me in the comments below. That’d be very helpful! I want to start this post with 舞音KAGURA because their C92 album is unexpectedly great. When I first discovered 舞 (Mai) in C-CLAYS, I wasn’t really fond of her because her voice didn’t go well with the C-CLAYS song. Now that she’s running her own circle, 舞音KAGURA, I begin to enjoy her albums. The CD jacket features normal and tanned Cirno. Six tracks in total. I really like the last one, the ballad arrangement of Cirno’s theme. I’m curious to know what the lyrics are about. The other Cirno’s theme arrangement with a different style is also nice. To be honest, I haven’t listened to the original themes in Touhou 16, so I haven’t decided which tracks would grow on me. I personally like the demo so far, I’m hoping the full release will be promising as the crossfade. An original first album! I prefer this one more. It’s unique and outside of the box. The album jacket is pretty. I really like the model in the cover. I think this album genre is almost similar to the one above, except for the original compositions. Highlighted track(s): KUU, WILD RIDE, 『友達』, KEEP ON!! KAGURA!! 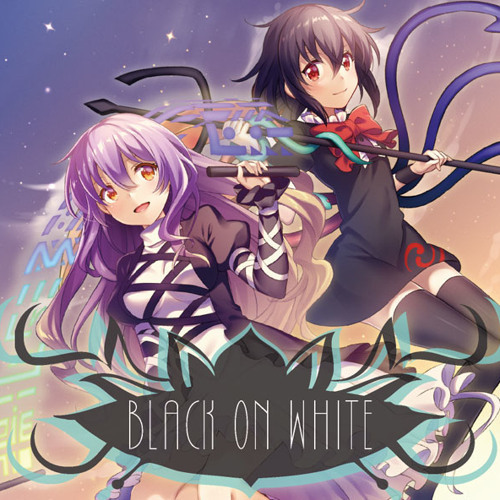 Konpeki decided to keep on producing albums based on the Touhou game timeline. In Autumn Reitasai 4 (October 15th, 2017), they released Doubt & Trust which is based on Subterranean Animism. I haven’t taken a look at it, but soon. For their album in C92, TRIANGLE▽SITUATION, is merely okay. So far, 美津紀 (Mizuki) is my favorite vocalist in Konpeki. What makes me happy is folk arrangements with Mizuki’s voice. She nailed that genre best in Konpeki. And she’s got featured on this time characeter image song! あまろ (Amaro) is doing well in this album. The first two tracks in the demo, I’d say I love them. I think over the past six albums, the music quality is plain. There aren’t many impressions. They release promotional videos based on the characters featured in the jacket. It’s a good effort. But I want more. I expect Konpeki to unlock their potential. As their next album will be based on Ten Desires, I’m going to be picky. “In the mirror, I could never find my true self. I was exciting when Babbe announced the release. Anywaay, let’s get to the tracklist. You can obviously see familiar names: 綾倉盟 (Mei Ayakura) from ALST, Nhato, H*M is also known as Robin, our devoted Akatsuki Records translator, etc. The second track, Lullaby, is a multi-language track. There are Japanese and English. For you information, H*M wrote the English lyrics for the track! I remembered in the previous releases, there are also German or French tracks. So, probably this one would be the same. I really want to know what the lyrics are about in those tracks. For the arrangements, they are good. I pretty like how Babbe arranges Electro / House songs. Remember to support Frozen Starfall when the digital release is on bandcamp! I like the overall crossfade when I first listened to it. This album comes with 2 tracks from HSiFS, 2 new versions of 恋の病 (Koi no Yamai) and うたかた (Utakata). Utakata is a very impressive song from BUTA in my opinion. I love the original version and I hope the piano remix would grow inside me too. The HSiFS tracks are great. I’m quite looking forward to the full version with the lyrics. And, the Lost Emotion track is also good. I’ll come back with BUTAOTOME this time. It’s never too late. Please visit Tiramisu Cowboy for all detailed BUTAOTOME updates! An HSiFS album from Akatsuki as expceted. Stack has TWO arrangements in this album. Not only she can sing, write lyrics, create artworks but also reach a new level – arrange music! She’s a talented one, let’s get that right. Akatsuki has to be the most productive circle in releasing PVs. Usually, they only release 2 PVs maximum in each event. This year, there are FOUR PVs. The quality for each PV is always there. The music this time is catchy. I can feel something is waiting for me in the full release. I’m eager to explore it.トランスダンスアナーキー is arranged, written and performed by Stack! The song is cool and ‘full of craziness’. It reminds me of WARNINGxWARNINGxWARNING. Our dear friend, Robin has translated the track, please check it out! Snowy Night sounds so ‘Christmassy’, probably the title makes me think like that. Stack sings acoustic rock!! It’s a must listen track! To actually put it in words, the quality in this album is undeniable. I will pour my full attention to this album. I didn’t translate anything from Akatsuki in C92. It’s time to compensate! Highlighted track(s): Metamorphosis,トランスダンスアナーキー, ここにいますから, GetOut. On this time last year, a female guest vocalists album was released in C91. So does this year. Merami got featured in the Aunn song. Some people aren’t familiar with Merami’s cute voice, but, that vocal tone has already been into me. cheluce and an Omiwa Legend arrangement. This song is supported by kaztora and Pira from Shinra-Bansho. Furthermore, ACTRock also supports Shinra-Bansho in Season 4 you. Sounds great, doesn’t it? 花言の葉 PV was released during the annual Nico Nico Festival. 謎の人物 K comes back with an HSiFS track – DARK NEXT-監視の扉-. She sounds good with Akatsuki. I don’t like her performance much in Konpeki. I forgot to mention that Akatsuki has created their official YouTube channel! It’d be very convenient for global fans to check out their latest PVs. They are uploading the old and new works! Don’t forget to subscribe them, guys! First of all, the design of the jacket is amazing. It’s more simple than the previous ones but I really love this one. It’s one of the best designs in this event. I’m hyped up for the crossfade. The crossdafe makes me exciting from A-Z. First of all, Time and again by Maika is out of this world. I somehow get the feeling that the song is quite similar to the old ones, but this time, it’s gooood. However, we usually have one new vocal track from her. The rest of the crossfade are mostly remixes and there are two instumental tracks from HSiFS. A ‘Pure Furies’ English track. Now I know that I’m not a big fan of Vivienne’s high voice. The other English track in this album, Rendezvous is better than Unknown Road. This album also have three original tracks: Ray, Rendezvous and our song. It seems that pizuya has already uploaded all the full version tracks on his YT channel. 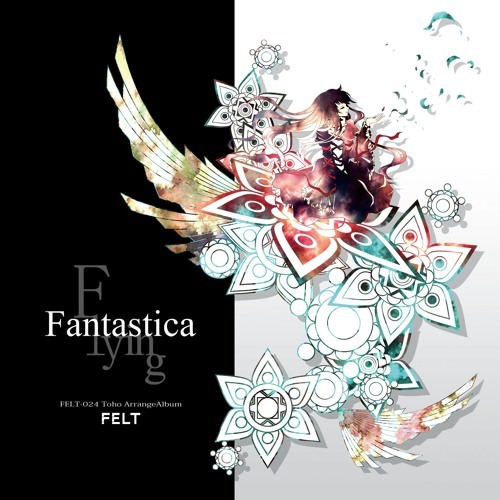 Quite peculiar… But anyway, pizuya releases a full HSiFS arrangement album. The material for each track is different and you could distinguish them quite easily. I personally like Crazy Clumsy Circus. The music and lyrics are very catchy. It’s quite jazz-like and 普透明度 sounds pretty awesome. Too bad the full version only lasts for less than three minutes, dang. Also, the piano series continues with Imperishable Night. If you are a fan of piano arrangements and Impershable Night (like me), this album would be a nice one to enjoy. My first time ever encoutering Yura Hatsuki! I add these two albums because I love the album designs. Also, I love the parallel/two-sided concept. It’d always be an interesting concept to explore since there are secrets lurking somewhere. It’s exciting. I can’t give any further comments or speculations because I’ve never really paid much attention on the concept she’s focusing on the previous albums. Please visit Musical tales of Yura Hatsuki for further comments about the albums and other translated lyrics from Yura Hatsuki! Alright, the third volume of 蜃景 (Shinkei). The last volume is a Yuuhei cover album. It’s not so impressive, but let examine the tracklist and crossfade. 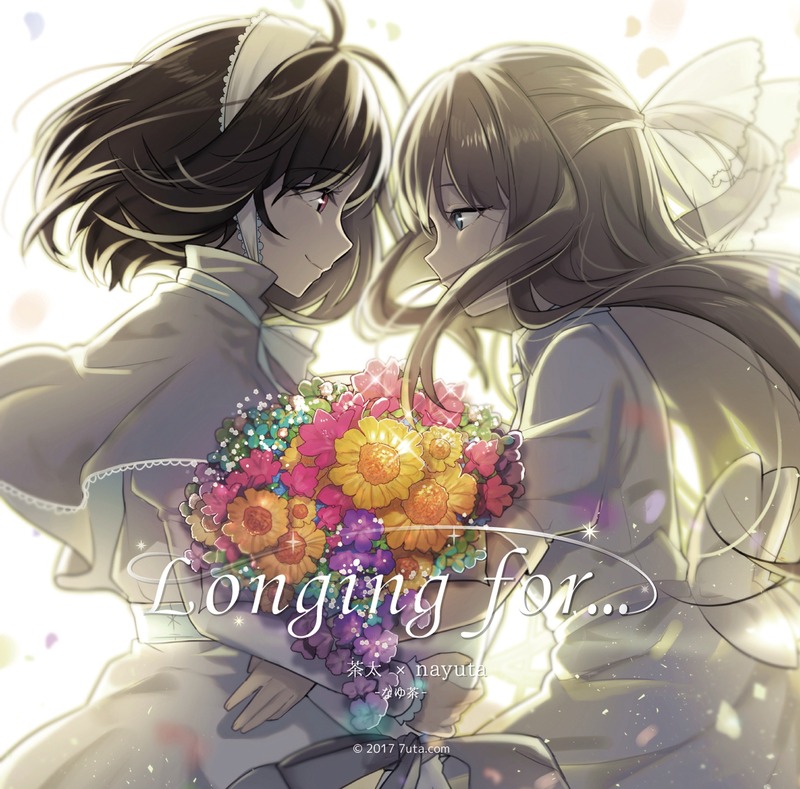 As you listen to the first track, you could easily realize that is something belongs to Alstroemeria, at least that’s how I feel. 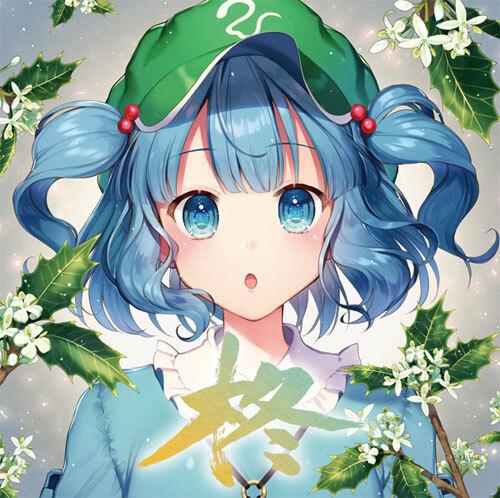 In this album, 瑶山百霊 (Yaoshanbailing) tests her voice with different circle’s works, including Diao ye zong! I think her vocal tone won’t go well with RD’s work. It’s plain and stiff, meanwhile RD’s music requires vocalists can be able to convey the emotions in his songs. However, Yaoshan did well with ALST and 舞音KAGURA tracks. I personally want more piano arrangements from Yonder Voice. That’d give us a question, when would be the next volume of Piano Arrange Collection…? …his original circle – Feuille Morte!!! Wanderia continues the ‘journey’ concept from タビノウタ (Tabi no Uta) in C92. A full vocal album with high quality vocalists. Merami, nayuta, even Kushi and especially Mitsuki Nakae! She finally comes back after Mythologia! As you could notice, there are subtitles for every track in the album. It’s ___のうた (The Song of (something)). I have this album in my list. I want to discover the full album and so do illustrations for every song from Hanada Hyou. 1500 yen and 500 yen from -matsuri, it’d be worth it. Expected! 夏空オーケストラ really convinces me. It’s quite good to see nayuta develop her own albums. You should have a look at her Comiket 92, which is above. I came across this album’s crossfade on my Twitter. It interested me so I’ll put it in the list. We have 茶太 (Chata) on board this time! I’d say this is my first time listening to Chata. I hope she’ll soon be in my music list. You can’t skip the duet tracks in this album. Should I consider buying this album in the future? I’ve already found this album very promising to me. 『どちらかが使者』 Which is the Watcher? A compilation album from Shimensoka, featuring songs in previous albums. RD is in charge of the arrangements. Most tracks are performed by Merami, one exception is that Kushi is the vocalist in 仮定8. For your information, the music tracks here published by Shimensoka are based on the accompanied novels, mostly inspired by the Hifuu Club. I think that widens the Hifuu concept and makes it more interesting to enjoy. Shimensoka also releases a novel accompanied by this album. Based on what I discovered, this novel is ‘the answer to Diao ye zong’ and ‘a story about happiness’. That’s vague… If you are a fan of the Hifuu Club, you might not want to miss this novel. TAMAONSEN ends this year with a decent album. It’s not grand, honestly. There are many vocalists participated in WORLD’S END PARADISE. I was expecting Shibafu and Ginryu as their voices are starting to grow on me. A full Mountain of Faith album. This one would focus on TAMAONSEN themselves, pretty similar to last year STILLING. Game is Over is a dope track. It’s fast and overwhelming. The arrangements in each track is high quality, as expected from Coro. We have TINY PLANETS and AO tracks. 3 tracks from AO. He’s my favorite vocalist after Re:Raise QUADRUPLE (you should listen to this album). Nothing is better than having more tracks from your favorite one. Rapbit – AO is a not so bad duet. Sanae got the chance to be featured on the album jacket again. Rei did so well with the illustration as always. Accompanied by this album is a Sky Orchestra album. It features off vocal tracks from previous albums, only the original version. I wish Coro would release an instrumental album of the remix version. For example, ハルモノガタリ (Forget The Love Remix) in Re:Raise QUADRUPLE (again). But overall, what we have this time is okay. External information: ytr and Ginryu will release an album called THE END IS NIGH under the name of SIXTH SENSE RECORDS in the same event. I have romanized the lyrics for “Grand Order“, please check it out if you want. AO is focusing in his solo career and will soon release his album in spring. If you are still hungry for Bad Apple after the first anniversary album in C92, well, we have a second anniversary album this time. It’s PHASE2! There’s a ランコ (Ranko) version of ALST’s Bad Apple!!. I want a Yaoshanbailing version of Bad Apple honestly. She sounds good with Alstroemeria based on 蜃景3. ayame releases an original album! As I have said before, my Touhou doujin music taste begins to shift after C92 quite gradually. ayame is now in my favorite list. The album cover is beautiful. It matches my aethestic taste. A. POP. CULTURE. ALBUM. A second one in the year! POP|CULTURE 6 is awesome. I was lucky enough to translate all the tracks. It’s noticeable and hopefully I have the chance to see the lyrics in this album. I’m hyped up to listen to Rute’s voice in different genres besides Eurobeat in A-One. I haven’t had many emotions after the overall crossfade. However, 23145EASONS has a PV and I think that track is a very good one so far. 3月のクリスマス is lovely too. It may take a while for me to be fond of the demo. A-One continues the TOHO EUROBEAT series. Vol.16 features Imperishable Night and doesn’t sound so bad. For this event, they release a Phantasmagoria of Flower View album with some guest vocals. Ayaponzu* shows up as she did in the last volume. The highlight must be nomico. Song Has No Name shows much power of her voice and it’s impressive. I’m so familiar with her tone in ALST. Napoleon in this album is merely fine. I love Phantom Fantasy performed by T.Stebbins. An English track with a male vocal. His voice is nice and he’s one of the good English vocalists. Aki and Rute are doing fine as usual. More duet tracks! YES! Each track based on two original themes in PoFV. I have to say, there are some peculiar theme pairings… But they sounds good together. That’s makes me more excited. Another album published by A-One follows the “MONTAGE” series. In C92, it was MONTAGE Blue featuring Rute. Furthermore, MONTAGE Yellow is guranteed to be released in this Winter Comiket. In the “MONTAGE” series, besides Touhou arrangements, there are Kantai Collections and original works. I listened to the crossfade and it’s great! I mainly focus on the Touhou tracks more. Some people are looking forward to seeing Activity Case 08 in this event. We won’t have Case 08 this time; however, GCHM has confirmed the 8th volume will be released next year! Now, for the crossfade. 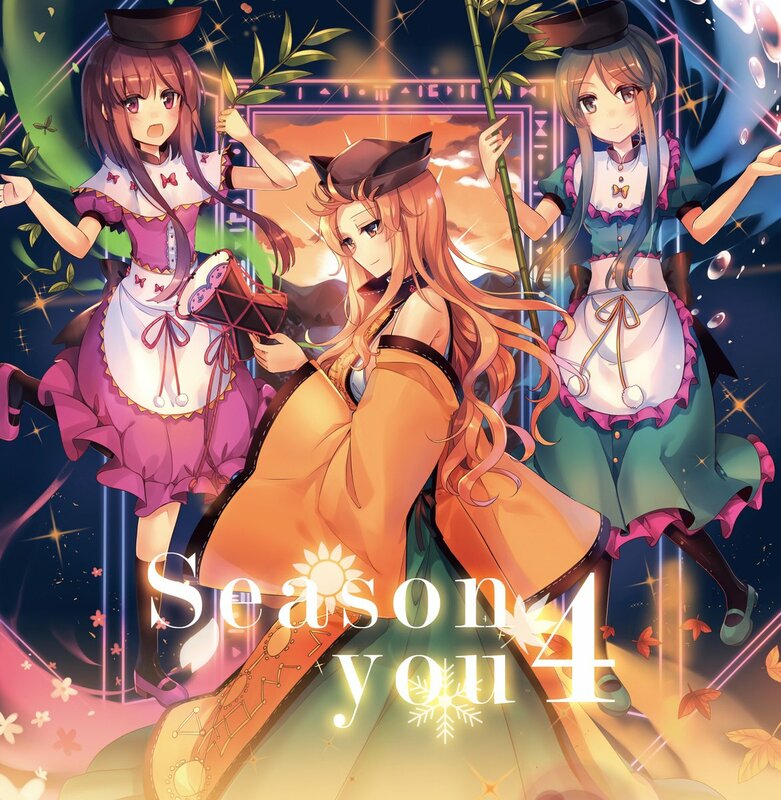 This has to be the only HSiFS album in my entries doesn’t have an arrangement of Crazy Back-up Dancers. Instead, GCHM focuses on the Four season concept more. In the first four tracks, you could see three original themes in HSiFS. In HSiFS, Reimu and Aunn represent spring, Cirno and Larva for summer, Aya and Nemuno for autumn, Marisa and Narumi for winter. The first track in ARATAMA consists Stage 3 Theme, Aunn’s theme and Reimu’s theme. The next three tracks follow the same format: Stage Theme – Boss Theme – Playable character theme. I personally find 艶でや雲海花嵐 and 今昔憐歌帖 are greater than the other tracks. Along with the newly Touhou 16 songs are old songs from previous albums published by Melonbooks/Toranoana. The crossfade is tagged with a disco hashtag. Ark Brown sings the Remilia disco arrangement track, it’s cheerful and makes you want to dance. 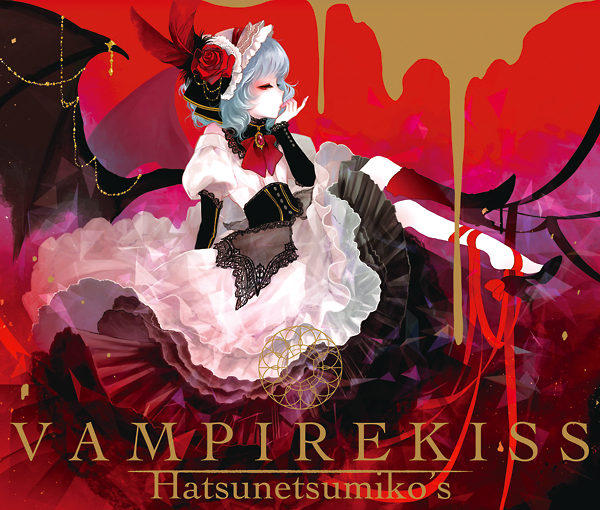 While listening to the demo, I could feel the image of a ‘charismatic’ Remi when Ark Brown sings ‘vampire kiss’. We don’t have Maika in this album. I always prefer her performance in Hatsunetsumiko’s more then FELT. However, Chen-U comes back this time! Tim Vegas goes with something different this time. But so far, I still prefer the previous albums. And also, when would the number of tracks in his album increase? The quality is there, but I want more. Let’s just say this album is the biggest one Melonbooks has ever published! Usually, only music circles participate for this project, but this time, there are some illustrators joining in! Each artist will draw a concept art/illustration for each song. 24 songs and 24 different artworks! There are three different prices for this album. It depends on the number of goods in each pack. Alright, next up is the music. There must be at least one circle you are familiar with in this tracklist. I mainly focus on circles I know and I’ll get on with the new ones later. There are two bonus Broken Moon arrangements from Akatsuki Records and Shinra-Bansho! I’m so glad to see 8686m and Halozy participate in this project. The crossfade is awesome and promising that it’ll be worth your money. THE OTHER FLOWER’s last album consists only one my personal favorite. I want to see how they do this time. The crossfade demo on Twitter is disappointing because it’s too short. The track list have six songs. In the demo, five tracks only last for less than two minutes and the last one, the Pure Furies arrangement is not even in the crossfade. In those short amount of seconds, at least I have found my favorite tracks. I hope the full thing would be better than this. I personally like the jacket album concept from THE OTHER FLOWER, combining Kanji and flowers/plants into an illustration. I will add the Melonbooks link instead of the official site. It’s because there are no tracklist in the official site. Finally, Yuuhei Satellite arranges themes we, at least myself have never seen before. Pristine Beat, Omiwa Legend and Broken Moon. スクリーミング・タイラント is a surprise element. I hardly recognize senya’s voice. It’s nice to see different aspects from her, even that’s just a slight one. Because I found this album is different from the past releases, so I’m not sure how to comment it. It’s not so right to use old criteria to judge something new. I’m usually excited to see 兎明 (Toa), but somehow… not this time. Her cover version of 共鳴しない愛のカタチ would take me some time to fully like it. 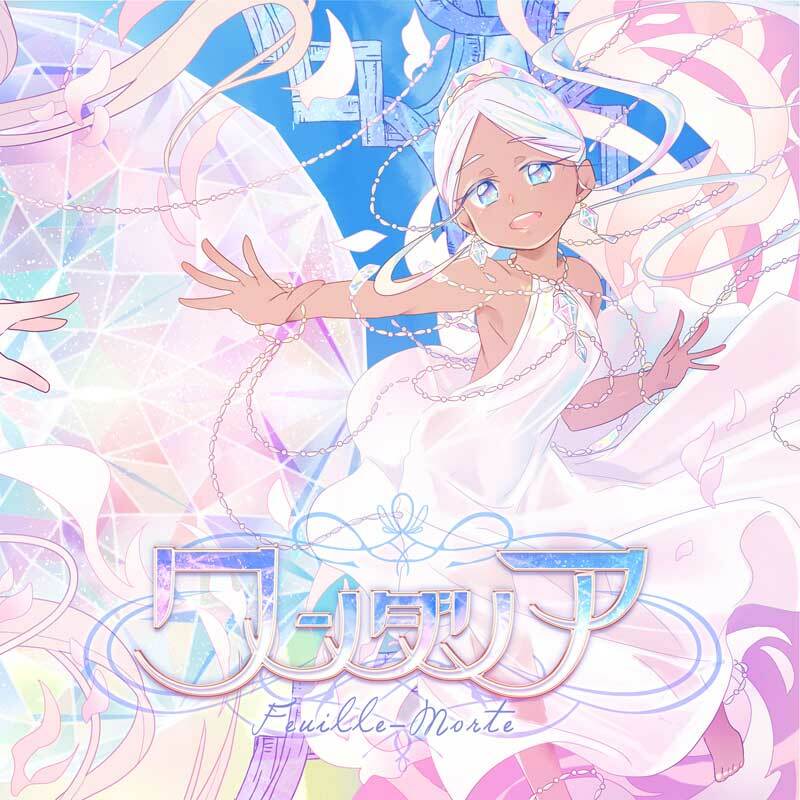 Manpuku Jinja has annouced the 10th episode of Fantasy Kaleidoscope. It’s the last part of the Imperishable Night storyline from them. 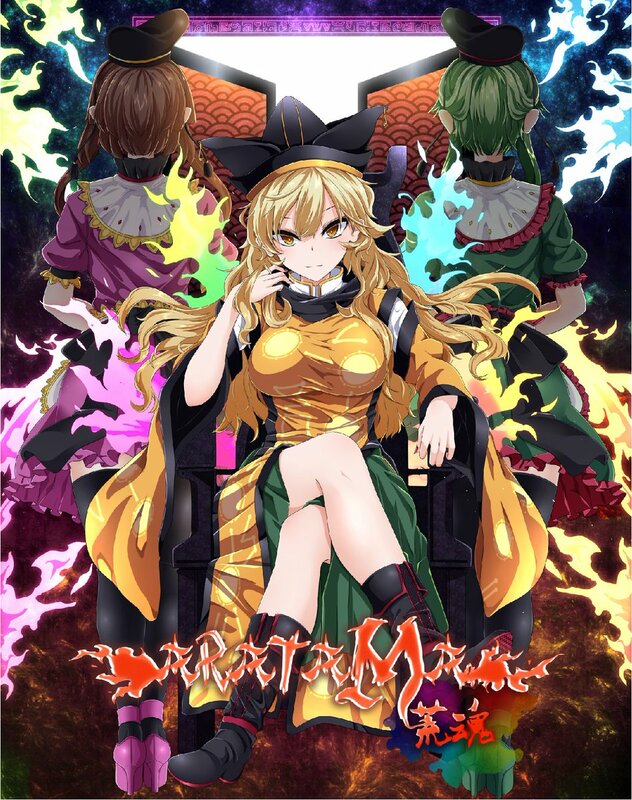 And, since the tracklist of 零れずの願いゴト has an arrangement from Imperishable Night (Voyage 1969), 照らされるくらいの幸せ will be the ending theme for the episode. I become less interested in this Fantasy Kaleidoscope series since the end of episode 6. Things are just so plain. New arranged themes are also in Fractal’s new album. 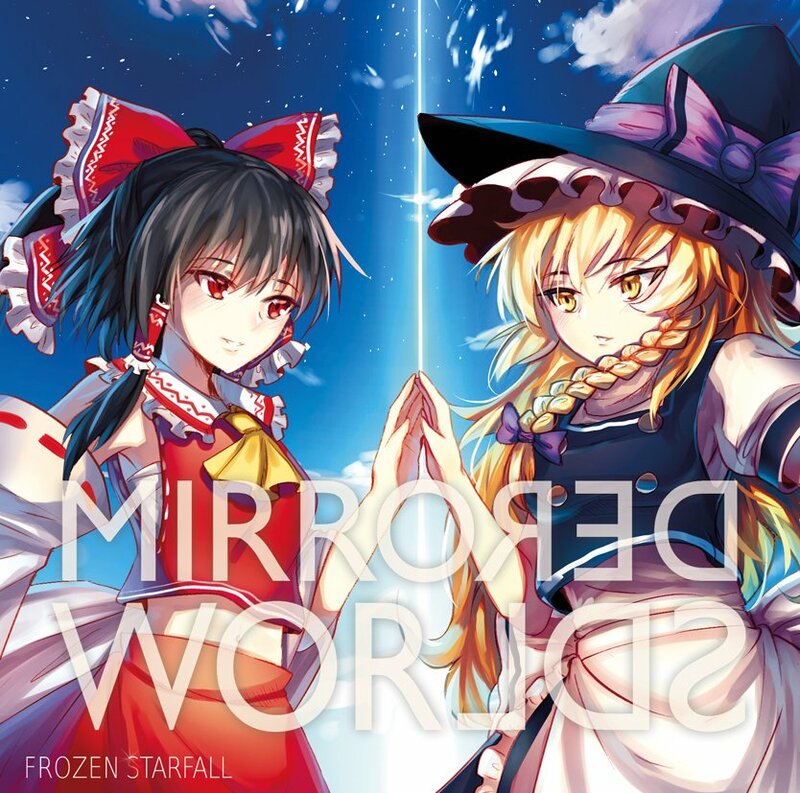 I have completely no idea that there is an arrangement of True Administrator exists in Yuuhei and Fractal’s discography. The song title is 嘘と沈黙(2017 ver.). So, it has to be somewhere in the old albums, doesn’t it…? For the vocalists, this time, I like 天宮みや (Miya Amamiya) slightly better than 柚木梨沙 (Risa Yuzuki). Risa’s songs in the album are just missing something. 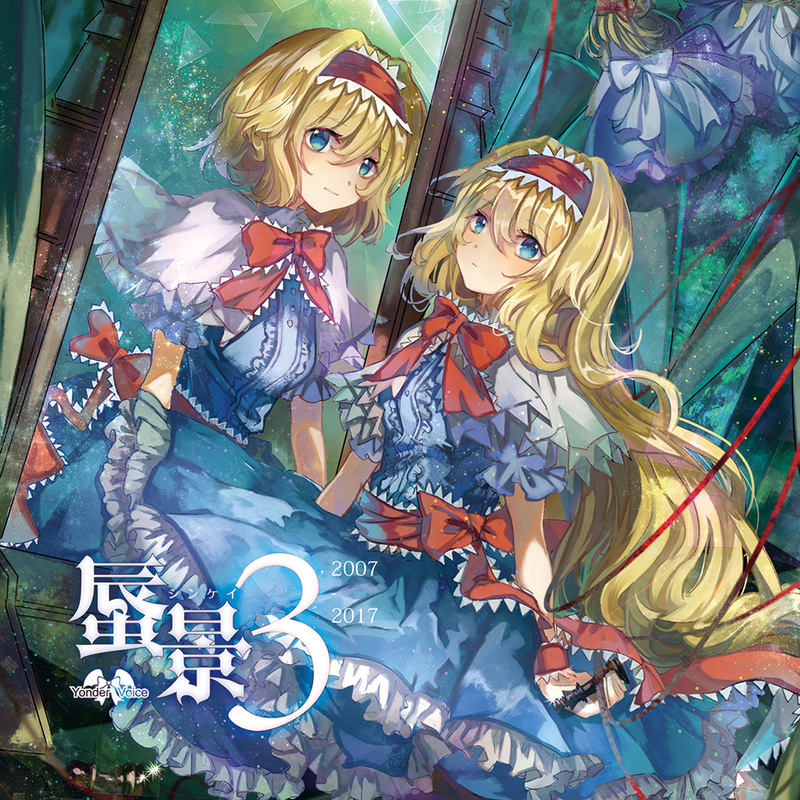 There are two image songs in the album based on ‘a certain Gensokyo’ and Rumia. Until now, I still don’t have a clear definition of what ‘image song’ is. Lastly, 君色サブリミナル performed by Miya doesn’t sound much different from the original senya version. So, the promotional track – Season 4 you ended up being this album title. I was stunned because kaztora decided to promote this album in October. Season 4 you performed by Ayaponzu* actually sounds very good. I haven’t read the translation or lyrics yet, but I’ll soon get into translate it! Merami makes an appearance in this album with a Larva arrangement. There’s also cheluce! I love cheluce’s voice. She’s so good at delivering the emotions in ballad tracks. I was expecting Mie honestly, but cheluce would be something new to enjoy. Next up, a duet track from Ayo and Ayaponzu*. There’d be a probability that the PV for this song would come out some time in the future? Quite like Itazura Sensation. Fans really love that song (maybe it’s mainly because of the Scarlet sisters and the cute vocal tone of the vocalists). I hope this time, they’ll love our crazy back-up dancers too. ACTRock is a supporting member for Shinra-Bansho this time as kaztora supports Akatsuki in the guest vocal album! To sum up, the crossfade doesn’t leave much impression on me, but I really want to check out the full release! The first song title makes me stunned for a bit. ‘Farewell, Bye bye. See you Tomorrow.’. And there’s a Desire Drive & Old Yuanxian arrangement, also Rigid Paradise! I heard that kaztora and azuki are putting their best in the final album, so does lily-an herself. One undeniable thing that the mash-up track features Liz’s popular songs has to be the best one. There are some seconds for you to look back at their discography in the video. Based on what I feel, White Lotus… has to be their most popular song. There are diffrent versions of it. And now, there’s orchestra version. Alright, enjoy the feels folks. Do you know? 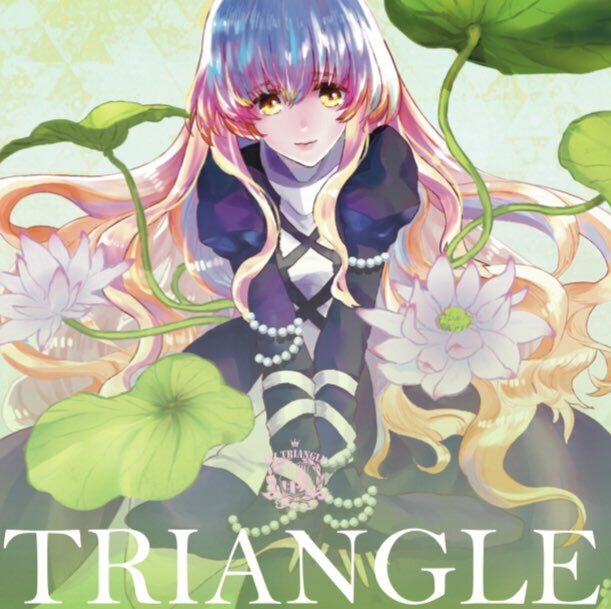 The number of pre-orders of TRIANGLE are higher than orders of Touhou 15.5. [link] Please consider buying this album. One more thing, Liz Triangle also releases a DVD called RED with some remakes of old songs. ACTRock from Akatsuki Records and ハム (Ham) from Foxtail-Grass Studio arrange the BGM for the story in the PV. And after all these years, finally, a PV version for Who killed U.N. Owen is out! Although Liz would not produce any new albums, I hope you will suport kaztora and Shinra-Bansho! Highlighted track(s): All of them. A tremendous event don’t you think? And one last thing, god blesses me with my lazy productivity.